Stainless Steel 304, 18-8 Etc. Soft-wood, Plastic Wood Composites Etc. This bugle head deck screw is especially important in softer material such as plywoods and composites. 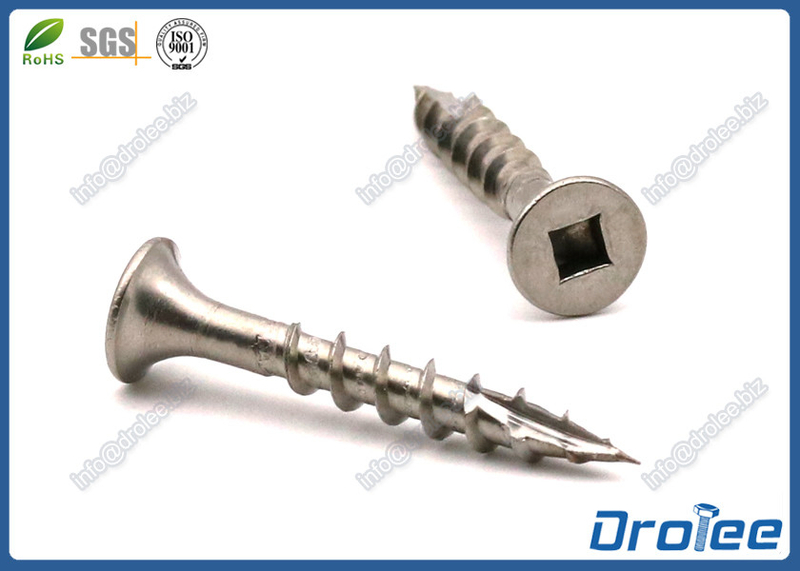 The screws also have larger diameter shanks for an impressively strong screw that is almost impossible to break. Type 17 makes it quiker and easier to drill it and also reduces the timber splitting. If you're insterested in our stainless steel square bugle head type 17deck screw, please do not hesitate to send us an email or call us directly.